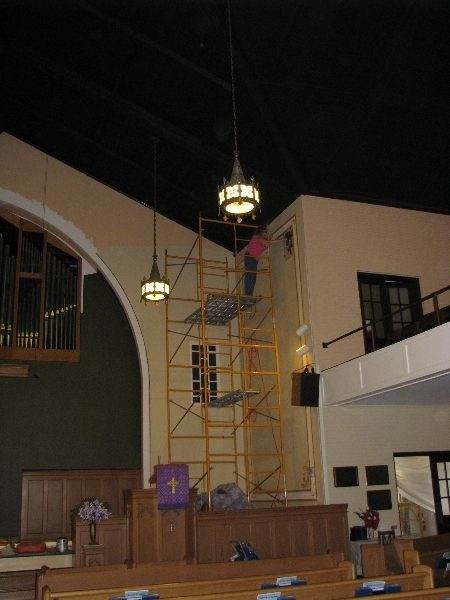 * Interior Painting - We paint residential, commercial and new construction projects (walls, ceilings and trim). * Old World Treatments - This treatment is very versatile. It can be done in many different colors and can be smooth to the touch or can be done in a texture that you can see and feel (e.g.. venetian plaster or textured paints). See photo's below. 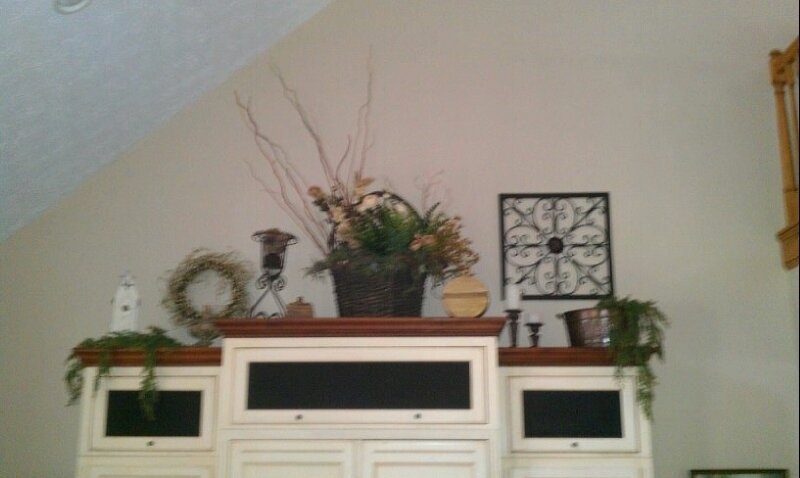 * Faux Finish -There are so many different faux finishes to choose from these days. We have experience with most of them, color washing, suede, denim, bricks, stripes, linen and so on... See photo's below. * Marbling - We can make any surface look like marble. 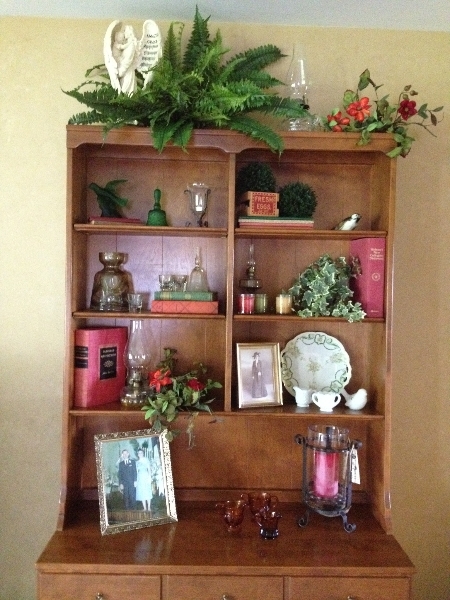 Furniture, pillars, mantels and walls. There are many different ways to marble and it can be done in any color. See photo's below. *Crackle - We can put a crackle finish on most surfaces. Furniture pillars and mantles are best. Walls can be done if they are not to large. See photo's below. *Clouds - Clouds can be painted on ceilings to bring the outdoors in. It is a soft beautiful realistic look that is popular yet still unique. See photo's below. *Kids Rooms - I think our favorite thing to do is kids rooms. We enjoy bringing your ideas together with your kids dreams for their rooms. Kids love to pick out things for their rooms and most know exactly what they want. Believe it or not it is possible to compromise and make both you and your child happy. That's where we come in. We want you both to be satisfied and with our guidance it always turns out great and everyone is happy. See photo's below. * Stenciling - We can easily create custom designs to match fabric or wall coverings. 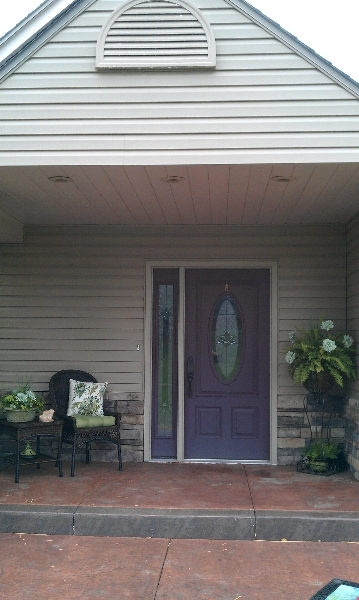 We have thousands of patterns to choose from and we can help you decide what would work best for your home or office. See photo's below. ~ Remember~ Stenciling is no longer just wrapped around the ceiling line. It is more a hand-painted, free flowing expression that is absolutely one of a kind. It can be Floral, Vines, Ivy or Lettering Stenciling is also great in Kids Rooms. Stencils can be Raised & Touchable or smooth and flat. *Ceilings - One thing we really enjoy is making ceilings (your 5th wall) more interesting. If you want to add drama and interest don't forget your ceiling. See photo's below. * Lettering & Logos - We can have lettering and phrases made to order, any size, any color. Anything can be written. Custom logo's can be duplicated and applied to most interior surfaces, so start dreaming, we can make it come true. See photo's below. *Commerical Projects - Here are a few of the commercial jobs we have done in the past. We enjoy doing these jobs because more people can see the beautiful results. If you have an office that needs a redo - remember us! *Merchandising - Whether you call it accessorizing, merchandising or staging it is all basically the same idea. 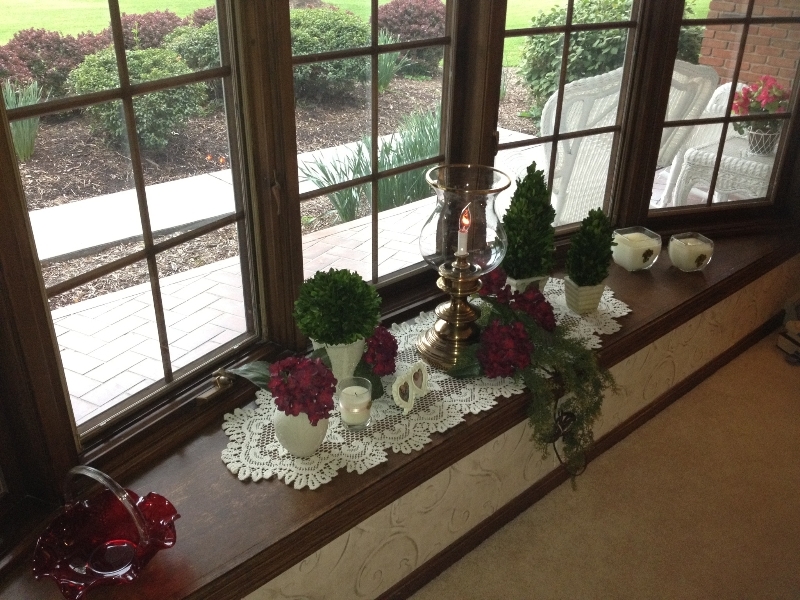 It is arranging things in an interesting way to make your space more warm and interesting. It is the details that make the final touches on a project all come together and give your room that finished designer touch. Yes fresh paint is a great way to change the look of a room but you MUST dress your space when the painting is finished to get that magazine look you dream of. 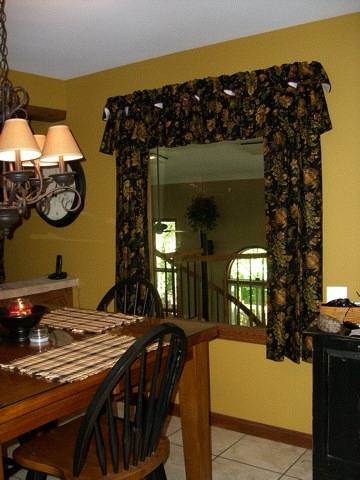 * Furniture Placement - We will rearrange your furniture and accessories to make an entirely new looking room. Although some rooms are "stuck" because of windows, doors, fireplaces, built-ins, or extra large furniture. Many times we have been able to "WOW" our clients with even the smallest of changes. * Personal Shopping - If you need new accessories or furniture, we can shop for you - with or without you. We just familiarize ourselves with your tastes and wants and we're all set. 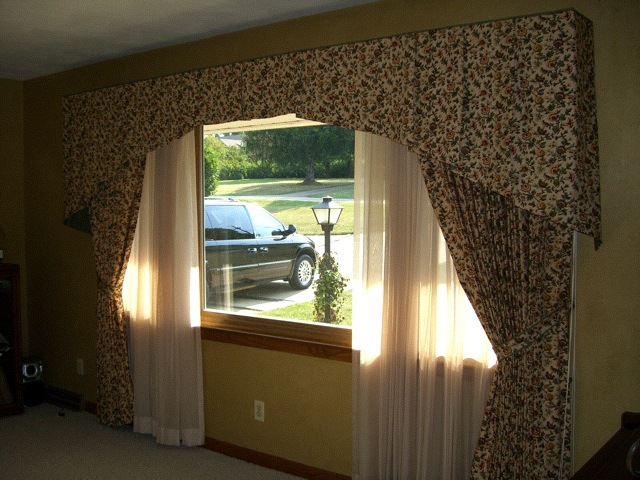 *Window Treatment - We bring the fabric to you and help you decide what works in your home. 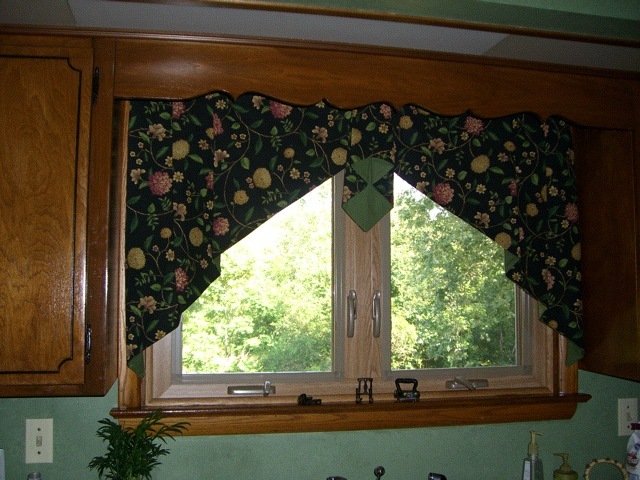 We can help you choose the design of your window treatments and how to trim them out. You may choose a cornice box or blinds, panels with or without a valance, several different window shades options, pillows, cushions, and slip covers. What ever it is you need, we can help and we install everything too. See photo's below. 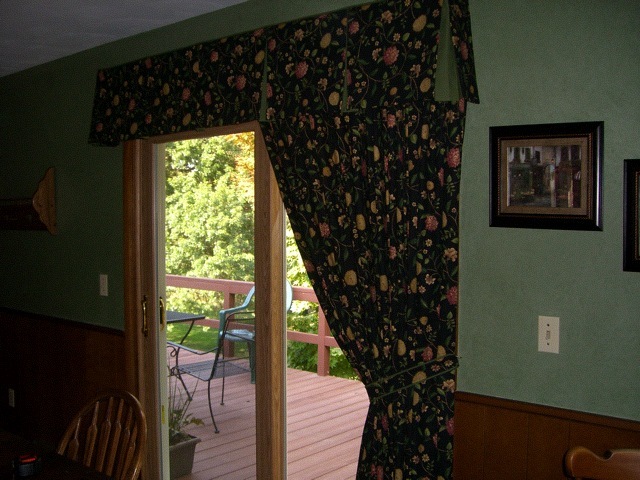 * Wall Covering - We hang wallpaper and border. 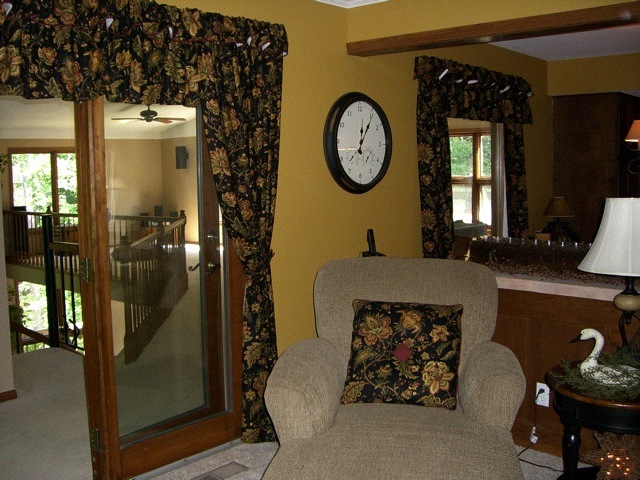 We can bring you many different patterns to choose from and you decide which one will look the best in your home. We will also take on the messy task of removing wall paper. In doing this we strip the paper, scrub the paste away, make any repairs, sand smooth, and most importantly - clean up the mess. See photo's below. * Furniture - We can paint your furniture for you. It changes the entire look of the piece. We can refinish it, age it, wash it, crackle it, detail the edges and carvings, glaze it, or stencil it. There are so many options to choose from. Trust us, you'll love it. *Before & After - Of course every room we do could qualify under this heading but we have chosen a few just to show you what a difference paint and merchandising can make. *At Work - We will even do those hard to reach locations!